There is a predictability to climate science disinformers like Anthony Watts and his guest authors at WUWT. They can't keep their story straight but they can and do lie and promote lies about climate. Why they want to speed up global warming - I doubt even they know the answer to that one. Some of them do it because they are paid to do it. Others do it for a mix of dubious motives. Money is one factor. Climate science deniers are predominately right wing extremists who worship the golden calf. They are obsessed with money. For some, greed appears to be their only motivation in life. Yet that doesn't explain it either. Not logically. Climate change is bad for the economy, meaning that climate science deniers will find it hurts their hip pocket as much as it will hurt the fortunes of normal, rational people. Part of it is fear. I've noticed that climate science deniers are afraid of being afraid. They use words like "alarmist" to describe people who provide facts. Climate change scares them, as it should. Another part has roots in authoritarianism. Science deniers typically worship the "scum-bucket politician" as Bob Altermeyer refers to them. That's probably how Donald Trump got elected. Authoritarians wanted to believe his lies. He is, to most people, a blithering buffoon, a reality television fantasy (dark fantasy), a bully, an ignoramus unfit to run a business let alone govern a nation. To right wing authoritarian followers Donald Trump is a saviour who can do no wrong, even though he flips and flops and hasn't kept a single one of the promises he made them. As an example of the lie promotion, today Anthony Watts posted another article by his replacement, Eric Worrall (archived here). Eric says he wants the USA to get out of the Paris climate agreement. He quotes a lie by Scott Pruitt, who also wants the USA to get out of the Paris climate agreement. This is the lie: "China and India had no obligations under the agreement until 2030." That is not true, and if the WUWT science disinformers ever did any some simple fact-checking they would know that. Not that Eric Worrall cares. He gets off on having his name in print on a conspiracy blog. Any fame is better than none, even though it means being associated with the dark side of the internet. ...China, in its submission, said that, compared to 2005 levels, it would cut its carbon emissions by 60 to 65 per cent per unit of GDP by 2030. 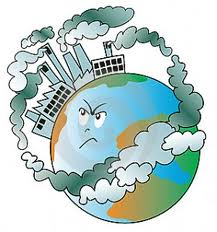 India said it would reduce its emissions per unit of economic output by 33 to 35 per cent below 2005 by 2030. Note that both countries pledge to reach these goals by 2030, meaning they are taking steps now to meet their commitments. India, for instance, seeks to have renewable power make up 40 per cent of its power base by 2030, so it is investing heavily in solar energy. The country is now on track to become the world's third-largest solar power market in 2018, after China and the United States. China is also investing heavily in renewable energy. Another point is that whether or not the USA ends up pulling out of the Paris agreement (not all that likely), it won't stop global warming. Depending on other actions and inactions in the USA, it will speed it up and make things worse. Is that what climate science disinformers want? If so, why? What possible reason could they have for wanting more and worse weather disasters, faster sea level rise, higher costs of adaptation? Is it like arms dealers wanting war? Does Eric Worrall hope to profit from disaster? There are only four so far and none worth repeating. "And you think they will pull out of the Paris agreement? More likely to grow pineapples in Antartica." The UK government is not "pulling out" of the Paris Agreement either. But not merely is it not making any effort to adhere to it but it is actively pursuing policies that fly in the face of it. Coincidentally, I read in Wikipedia that there is a proper name for an administration which prostitutes itself to established interests. It is called a pornocracy.